Beautifully designed across a single level, this modern home offers 4 large bedrooms, master with full ensuite and walk in robe, living/theatre room, family bathroom, large laundry, immaculate kitchen with generous walk in pantry, and spacious open plan dining and family room which opens onto a lovely alfresco area. The home is beautifully presented and comfortable with external sun shades and split system heating and cooling throughout. 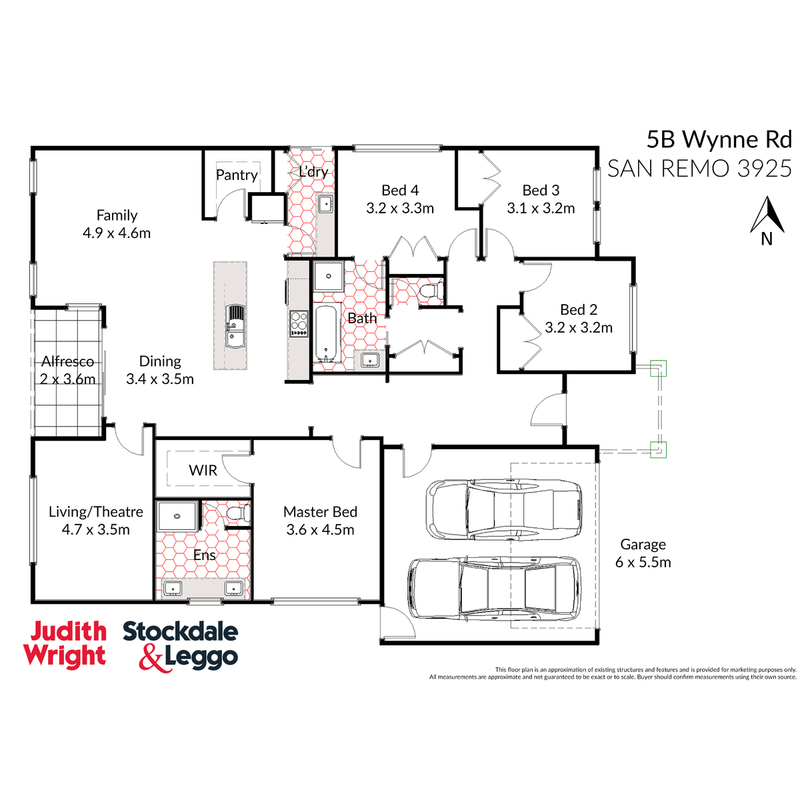 A double garage adjoins the home offering secure vehicle parking and direct access to both the home and the rear yard. The property features manicured front gardens and a private rear yard with established trees, vegetable garden and relaxing outdoor area. Perfectly located, this home is within a short stroll to the local school, kindergarten, lawn bowls and tennis clubs and walking distance to restaurants, coffee shops, hotels and the popular San Remo foreshore beach and jetty. Arrange your private inspection today!